The Windows 10 upgrade has been problematic for most people. The two biggest reasons for this is not doing a clean install and preexisting malware or viruses being carried over from the previous operating system. I have preformed hundreds of Windows 10 OS upgrades for people who are having problems. The cost is usually around $50, and takes less then one day, if your computer is completely jammed up or frozen because of this update I can fix it fast. A lot of people are worried about whether they should be using Windows XP, I use XP everyday and can not live with out it. I need it because my favorite software works best with it. I am tired of upgrading to the latest thing only to find out it is a lousy peace of software. As long as anti-virus and anti-malware software is up to date and you have the latest Windows XP updates there is not to much to worry about. As far as I can tell Windows has not ended support for XP, I am still getting updates on a weekly basis? if these updates do really ever stop, I am not to worried about it. XP is the most popular OS in the world, over 30 percent of all computers in the world use XP, this is the biggest percentage of any one OS, XP is not going anywhere anytime soon. People who like XP and want to upgrade and continue using XP should only upgrade to Windows 7 Professional, not Windows 7 Home Premium or Windows 8.1. Windows 7 Professional has something called XP mode, which allows your pc to work as a virtual machine, you can run Windows 7 Professional and Windows XP Professional at the same time on the same pc, I absolutely love this feature. Windows 8 does not use virtualization and uses hyper-V which does not support XP mode, however, hyper-V will allow Windows 8.1 Professional to run Windows 7, which then can run XP mode. It is very easy to run all three operating systems at the same time on one hard drive partition. I have a mixed opinion about Windows 8 and now 8.1, I understand it is more stable then Windows 7, however It took me months before I started to get used to it. I was very frustrated in the beginning and did not use it a lot, as more and more people started bring in their Windows 8 computers in for servicing, I had to become formularized with it. Once I started to understand how to configure the new start screen I feel in love with it, now Windows 8.1 is my operating system of choice. It is the same operating system as Windows 7 and Windows XP, it just has a ton of new features, this means more eye candy for your buck. One of the things I like most about Windows 8.1 is it does a good job at supporting older software programs. I think it does a better job at this then Windows 7, older Microsoft Office programs work better for me with Windows 8.1 then with Windows 7. Older Macromedia or Adobe software such as Photo Shop and Dream Weaver work fine for me with Windows 8.1. People that need to use DOS are able to use DOS Box 0.74 with no problem. Windows 8 is not the same as Windows 8.1, 8.1 was labeled a service pack update, however it is more like a new operating system reinstallation. People that are using Windows 8 should simply go to the Windows Store and upgrade to the free version Windows 8.1. This new updated OS will have all the features needed to configure the new Windows start screen to work the way you want. People can configure the start screen to look and feel like Windows 7 without having to use gimmicky third party software. It is easy to turn off all the unwanted advertising and it is easy to make the Windows desktop the default navigation system. The new Windows tiles can be completely turned off at start up and everything can go back to the old way of Window 7 and XP, however I like the new system better, give it a try before changing it back to the traditional navigation display. There are two versions of the Windows 8.1 operating system (OS) Home Premium and Professional, the Home Premium version usually comes preinstalled when buying a retail computer at a big box store. I recommend upgrading to the professional version, it has a lot more networking abilities and offers total hard drive encryption. Hyper-V is a new technology that is also available in the professional version, it allows two operating systems to run side by side at the same time, you can run Windows 7 or any version of Linux when running Windows 8.1 professional. If this sounds like something you would never get into, you would be surprised, people are becoming more and more tech savvy everyday and this is a feature we all might be using someday. The upgrade package costs $100 and includes Windows media center which turns your computer into a cable box that can record live TV along with other things. Windows 8 computers should be upgraded to 8.1 otherwise they will not work right. 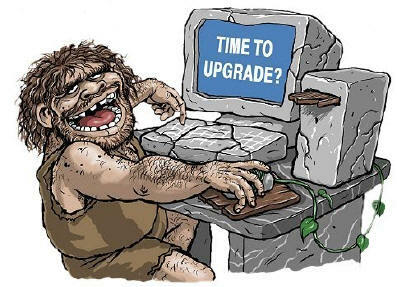 Upgrading the Operating System is not easy, some people find it maddening, the best thing to do is make sure you buy a computer with 8.1 preinstalled. There is no easy way to explain how to upgrade the OS, however I can upgrade the OS. It is a long process and will cost $50 to $80, depending on whether people need data back up service. Tips: Make sure the PC is set to the right time zone and time, disable all background apps or programs. Once 8.1 is installed things start to get better, people are able to make the Windows environment or GUI more like Windows 7 or XP which means they will finally be able to get some work done.